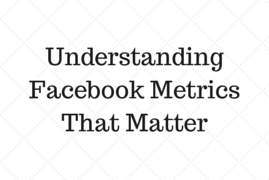 Reviewing Facebook metrics can sometimes leave you confused. Data and numbers change all the time and I’m sure this is one task you prefer someone else to do for you- even I do at times! Facebook Insights are loaded with tech terms, numbers, graphs and dates. Fear not! It can seem overwhelming if you don’t know what to look at, so allow me to simplify the process and point out which items should really matter to you. Likes – How many people like your page in a week. Post Reach – Reach is the number of unique people who received impressions of a Page post. Reach might be less than impressions, since one person can see multiple impressions. Engagement – How many people like, comment, share and click links of your posts on a weekly basis. If you look you see I have an equal number of men and women liking my page, but it is the women who are sharing the buzz… maybe I can improve engagement by posting content that is more appealing to men? Or, when I promote something on my Page using Facebook Ads, perhaps I only focus on women to share content. On the Likes tab scroll down until you see the ‘Where Your Page Likes Happened’ graph. Remember that Your Page can be liked even without loading your Page. For example, the Like button can be found on paid ads, Page suggestions, as well as like box widgets on other websites. On your Page – Someone hits the like button on your Page. Page Suggestions – News Feed shows suggestions of pages or posts to like. Mobile – Someone clicked “like�? from a mobile device. Others – Like box widgets or links found on other places like 3rd-party apps or websites outside Facebook. Focus on these numbers and don’t get distracted by the vast amount of date in your Facebook Insight dashboard. If you need more help deciphering what really matters, I’m always here to help. Who are the ideal people you’d like to reach? Those who would most likely click your ad and especially those who would most likely act on your call to action are the ones you want to target. What are their interests and demographics? Aside from determining a budget, you have to be able to come up with a certain benchmark number that will make you say that you’ve had a return on investment (ROI) for your time with the ads you’ve set up. If you are a real estate professional that keenly wants to target real people such as your friends and people who live, work or interested in your city, then Facebook Ads are for you! Let’s get started. 1. 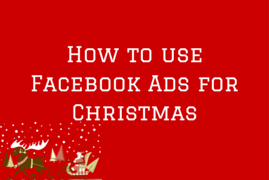 YOU WILL NEED TO USE YOUR PERSONAL PROFILE TO ACCESS FACEBOOK ADS. 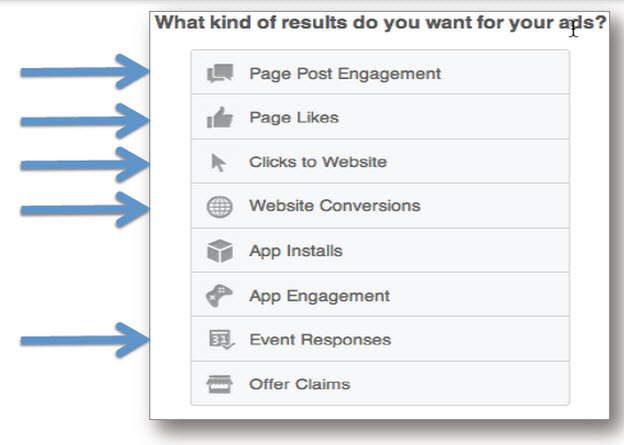 FROM THE LEFT SIDEBAR OF YOUR FACEBOOK HOME PAGE, CLICK ADS MANAGER. ON THE ADS MANAGER PAGE, CLICK THE BIG GREEN ‘CREATE AD’ BUTTON. 3. TARGET THE RIGHT AUDIENCE. YOU CANNOT TARGET WELL ON FAFCEBOOK IF YOU HAVEN’T IDENTIFIED YET WHO YOUR TARGET MARKET IS. MAKE SURE TO HAVE A DETAILED DESCRIPTION OF BUYER AND AUDIENCE DEMOGRAPHICS: GENDER, AGE, COUNTRY/ CITY, LANGUAGE, AND DEVICES. THIS WAY, YOU CAN OPTIMIZE YOUR BUDGET SPEND TO THE AUDIENCE THAT MATTERS MOST TO YOU. First and foremost, quality ad content is still paramount to any marketing campaign.Remember, you want to spark curiosity and avoid hard-selling. People hate seeing spammy, sales-looking ads. Be creative! You can use humor, amusing or inspirational stories, current events or interesting information to get your message across without pushing people to set an appointment with you. Also, give clear CTA’s. People are busy, so get straight to the point. Let people know what you really want them to do: Click the link, like your post or fill out a lead capture form. Write quality ad content that speaks directly to your audiences. 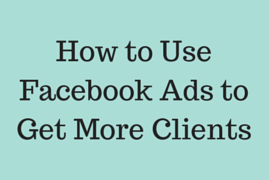 There is a lot to take in and learn when it comes to Facebook Ads, but you can do it! If you’re still stuck, check out this post I wrote that includes a 5-step guide to Facebook Ads. 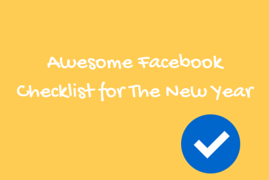 Want to learn more on how to use Facebook to get a consistent source of leads online? 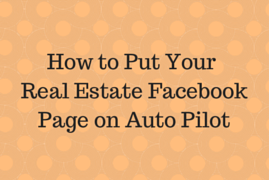 Sign up for my FREE video series FB Real Estate Pro! Oh dear! The holidays are just around the corner. 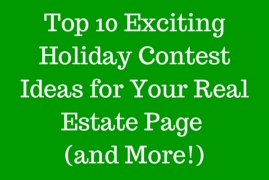 Which means now is the perfect time to think up a holiday-themed contest for your real estate Facebook Page. 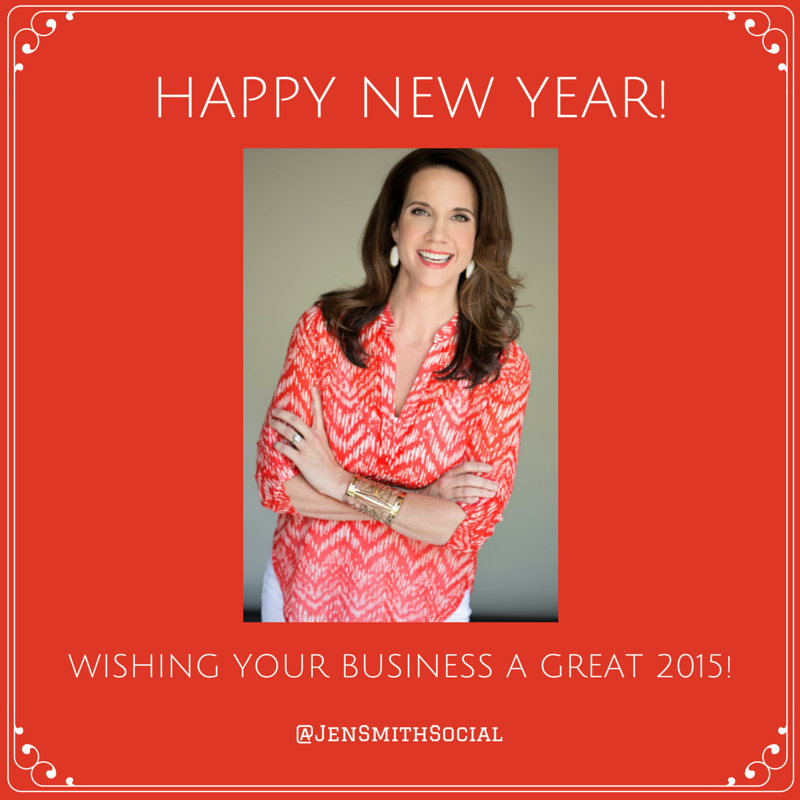 That is why I’m sharing with you 10 different ways your business can engage with customers this holiday season. Discount coupons or gift cards (for attending an open house) for commoditieslike gas, meals at a nearby restaurant, free massage/ spa treatment or selected products from a home improvement store. When you choose to run a contest that requires fans to share content as entries (photos or videos or status posts), make sure that all entries include the unique hashtags you prepared prior to launching the contest. Do some research and check to see that the hashtag (a phrase or keyword such as #100daysofgifts) isn’t already used by a brand, and that it makes sense for your goal. Come up with a fill in the blank topic like, “What are you most grateful for this holiday season?” and let your fans submit their response in a video. Your prizes and winners with their photos – of course! Since the goal or running contests like these is to get a fresh list of contacts, you want to consider having contestants fill out an entry form to be eligible to join, instead of “likes” to a post or page. Then sign up for my FREE video series FB Real Estate Pro and get instant access to 3 helpful videos that will help you grow your list! READY FOR ANOTHER FACEBOOK UPDATE? Get ready for another improvement, this time from Facebook Events! As part of this update you’ll see changes on News Feed ads for Events, the addition of Event insights and improving the look and feel of Event pages. All of these updates aim to boost awareness of Facebook Events and response rates of every event created. Page admins will be able to create right-side panel ads for Events on behalf of their businesses. This can be done via the ads create tool in Ads Manager, as well as the Power Editor. “To make it easier for businesses to reach even more people for their events, we’re announcing new features that help Pages promote their events and see how they’re performing. Plus, all you need to do is click Boost Event to make your event an ad! It’s super simple and an easy way to get more eyeballs viewing your event. You can also customize your Page tabs to further increase your fans’ awareness of Events in a single view. To do this, simply click the “More” menu on your page and reorder the tabs so Events is one of the first to appear. People using Mobile can simply scroll through the Upcoming Events of their Facebook account to check what’s happening around town in the coming weeks. Lastly, Facebook has improved the look and feel of each of the users’ Events page. Users can now see upcoming events, the ones they are hosting, as well as their saved events, just in case you want to follow an event without attending. This area now also includes a list of suggested events based on the pages you’ve liked, location and the day of the week. What do you think of Facebook’s new updates? Have you seen them yet? 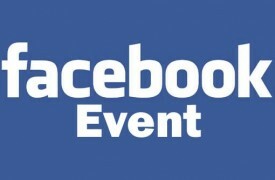 Are you using Facebook Events in a creative way? 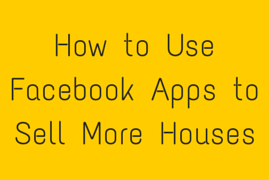 One way you can do this is to optimize your page using Facebook Apps. On a Facebook Business Page Apps are located on the left hand side under the cover photo and represented by small icon tabs. You can also reach Apps by clicking “more” under your Cover Photo menu bar. They way you create custom apps is via the Facebook Apps marketplace or through a third party app designer or tool. Take a look at real estate businesses such as Zillow’s listing apps for examples. However, not all Facebook Apps are created equal. Some apps are well developed, while others aren’t. Do your research and find someone who can create the app you need for your marketing goals. I’ve discovered that 22Social is a really helpful third party vendor that works with business to develop Facebook Apps on many levels. Some of their apps can even generate leads 24/7! Videos help a lot in people’s home buying decision. It allows them to get a 360 view of the house you are showcasing. Fans have a chance to get excited even before setting an appointment with you. Shortstack – Note: They will only let you try one app for free before requiring payment. 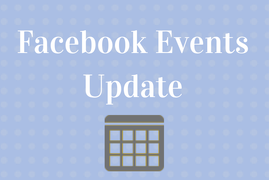 Facebook Events is a powerful tool, not only designed to invite friends, fans and potential customers to your check out your Facebook Page; but it’s a great way to keep audiences updated on details surrounding a particular event. Let’s be honest, creating a Facebook Event is very easy. But, it’s promoting the event that can be tricky! 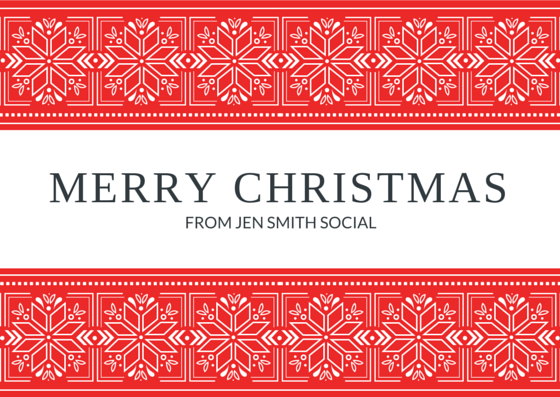 Create graphics and promotional materials before creating the Event on Facebook. Share this as a “sneak peek” with fans. Ask your most active fans and peers to promote the event among their friends. 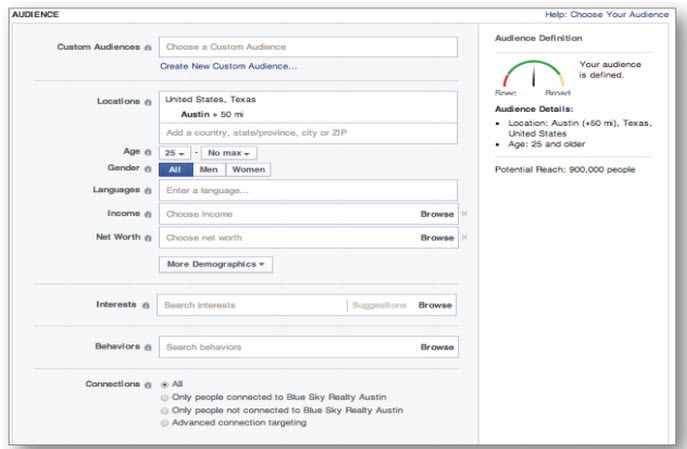 Identify fans who regularly engage in your page. Send them private messages to help you promote your event. You can also ask permission from other related pages if they can promote your event link too. Write catchy posts to invite your page fans to the event. Insert the event to your content mix and post updates regarding your event to tease the audience. Don’t forget to include the Facebook Event short link so people can RSVP. Give “exclusive” backstage passes to the event. This is better experienced in grand openings or ceremonies of real estate projects. Guests love to have a VIP treatment, so you can offer them tickets or backstage passes to your event. These VIP’s get special freebies like drinks, parking assistance, raffle tickets, souvenirs, or a better table at the reception. Before you start to schedule posts, it is important to be aware of optimal publishing times to ensure your fans are seeing content. Here is a quick guide to help you discover when is the best time to post on Facebook. Facebook’s pre-scheduling tool allows you to set posts to publish at a later date and time. The tool corresponds to your default timezone, so it looks as if you posted manually. You can post as often as you need for a given period of time, for example a week in advance to a month! While you can pre-schedule most post types, not everything can be scheduled. You can only schedule status posts, videos and photos. You won’t be able to batch schedule photo albums, Facebook events, questions, offers and milestones. Type in your content or post update. Don’t forget your links or call to action! If you need to go back and edit your queued posts: On the Admin toolbar, click the “Activity” tab and then select “Scheduled Posts” on the left sidebar. Here you’ll see a list of all your upcoming posts and can edit the date, time and content of any post. You can schedule bulk posts by just utilizing a .csv file. Here’s an inside look on how you can do that using the Hootsuite app. Want to learn how to use Facebook to get a consistent source of leads online? Sign up for my FREE video series FB Real Estate Pro and get instant access to three free videos!